We have had a lovely review of two of our popular products, Teak Olje & Textrol from Colin, at WoodWorkWeb. Colin had a project of a coffee table with a live edge. He wanted to finish it with a product that wouldn’t hide the beauty of the wood and instead enhance it. He was aware of two types of finish; a ‘varnish’ type finish that creates a film on top of the wood and an ‘oil’ type finish that will penetrate into the wood. There are a few reasons that Colin decided he did not want to use a film forming finish. When it comes to re-application, you must remove the previous coating via sanding or chemicals before you can re-apply. This is time consuming and expensive. 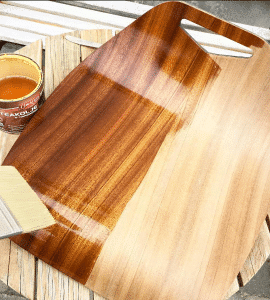 For these reasons, he decided he wanted to use an oil finish and opted to use Owatrol Teak Olje. 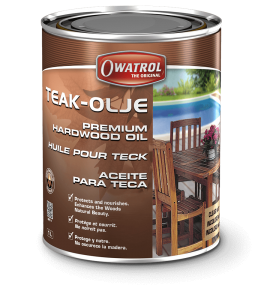 Teak Olje is premium hardwood oil for both interior and exterior woods. It offers protection whilst giving a rich, matte finish that will not blacken due to UV exposure. 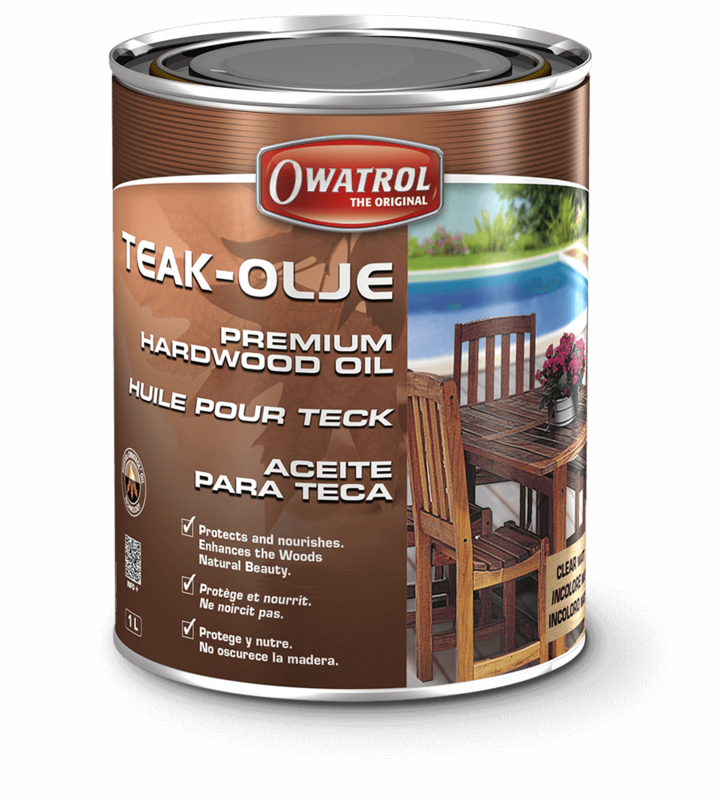 Teak Olje is easy to apply and the maintenance is very simple. All you need to do is to clean the surface before re-applying. That means no backbreaking sanding or time consuming stripping! Take a look at Colin’s YouTube video at the bottom of this page to see the finished result of using Teak Olje on his coffee table. After completing the coffee table, Colin decided he wanted to try out Textrol, our wood oil for exterior wood. 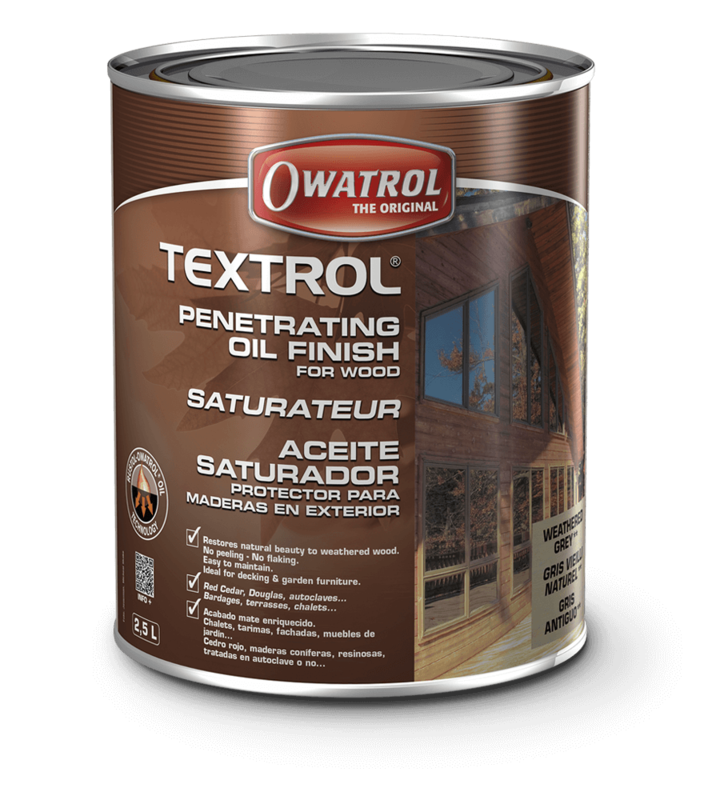 Textrol is a penetrating wood oil finish for exterior softwood and hardwood. Again, due to it being an oil type finish, it penetrates into the wood surface to protect it from the inside out. It enhances the natural beauty of the wood whilst providing a mildew-resistant finish. It also offers exceptional and long-lasting protection from the effects and damages of moisture, weathering and UV rays. 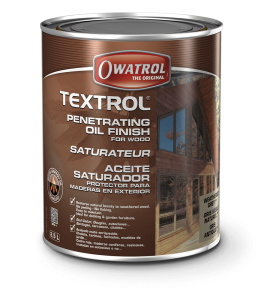 When Textrol is first applied, it will give the wood a rich, matte color. This will gradually lighten over time until reaching the finished look. Textrol is available in 4 different shades, all offering the most premium protection. Colin used Textrol to finish a 20 year old red cedar garden chair that had been left and forgotten about in the back of his yard. He cleaned it with soapy water and a scrubbing brush and then left it to dry for a few days. For cleaning purposes, we recommend using Net-Trol – our wood cleaner and brightener. Net-Trol removes both surface and ground in dirt without damaging the woods fibers, achieving a very clean surface ready for a finish. After the chair was dry, Colin simply applied 2 coats of Textrol and then left it to dry. The garden chair was 20 years old an hadn’t been treated, so Colin was very happy that the wood grain was still visible and that it was now protected for future enjoyment. Take a look at Colin’s demonstration video below to see before and after’s and why he loves these products. Thank you for your kind words Colin, we’re glad you enjoyed using Owatrol products.